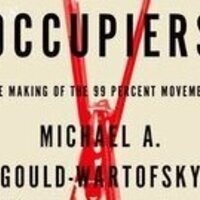 Michael A. Gould-Wartofsky is the author of The Occupiers: The Making of the 99 Percent Movement (Oxford University Press, 2015). A veteran of the Harvard Student Labor Action Movement, now a PhD candidate in Sociology at New York University, Gould-Wartofsky was one of the first social scientists on the ground at Occupy Wall Street on September 17, 2011, beginning his inquiry then and continuing uninterrupted ever since. He has written for The Nation, Salon, Jacobin, and Mother Jones. his photography has been featured in the books New Labor in New York (2014), Changing the Subject (2013), The 99% (2012) and Occupy! (2011). Light snacks provided. Requests for accommodations should be made by Friday, March 20th to csj@georgetown.edu with the subject line "Accommodations Request."